Davis County Amateur Radio Club - The Davis County Amateur Radio Club (DCARC) is an organized, incorporated group of individuals with an interest in Radio Communications. Most of our members live in Davis County, Utah and hold Amateur Radio Licenses. 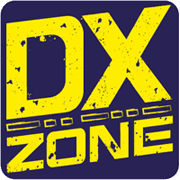 Dixie Amateur Radio Club - The Dixie Amateur Radio Club, Inc. is an association of federally licensed Amateur Radio operators (also known as "ham radio" operators) who primarily reside in southwestern Utah, mostly in the greater St. George City metropolitan area. K7CSW - Saltlake Peaks Amateur Radio Club - SPARC The Saltlake Peaks Amateur Radio Club, founded by employees of L-3 Communications located in Salt Lake City, Utah at the Communications Systems West Division. K7UB Golden Spike Amateur Radio Club - The GSARC is one of the predominant amateur radio clubs in Northern Utah. N7BYU Brigham Young University Amateur Radio Club - Brigham Young University Amateur Radio Club (BYUARC) was founded in 1949 and has been headquartered in several places on BYU campus over the years, finally coming to its permanent location in the Wilkinson Student Center in the 1970s.